– An additional $1 million in tax incentives. This is patently unfair to those craft brewers who don’t get special treatment. Business leaders often talk a good game about free enterprise. But they’re frequently first in line when government starts handing out other people’s money, or writing rules that restrict the competition, such as occupational-licensing regulations and import tariffs. 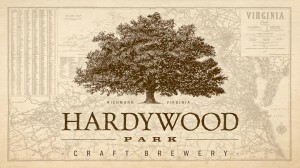 As a result of the state’s interference, Hardywood will get more resources than it would on its own. In the process, consumers will have less money to buy things they actually want — because Virginia is forcing them to help produce beer they actually don’t. Businesses that would have been able to satisfy customers better than Hardywood and Stone Brewing can will have fewer resources with which to do so. Job applicants will be steered to jobs in the beer industry instead of other fields that could use them more. A whole host of unintended consequences will ripple throughout the economy — but they will do so largely unseen. McAuliffe and Hardywood get all the buzz, but everyone else will have to live with the hangover.